When students begin their preparations for the LSAT, their questions generally concern how to go about maximizing their scores. Given the importance of the LSAT in their law school applications, this is completely understandable. But it can be worthwhile to understand the perspective of the test makers, and to see why you are working so hard to break down the complexities of this test. Reading Comprehension is perhaps the most readily understandable–if you’re taking the law track, your reading ability is going to be an important factor, in law school and beyond. While this is clear to most people, what is lost on many is the potential to improve in this area; most people’s approach to pleasure reading, though, is not optimal in this context. Logical Reasoning is there because it’s really important for lawyers to be able to build up and break down arguments, see their strengths, weaknesses, and implications, and understand their logical components. 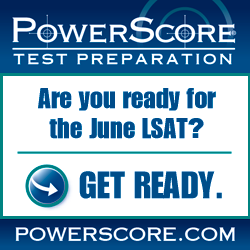 You should consider your LSAT preparation the beginning of your practice with a more precise brand of argumentation. As for Logic Games, this section gets a lot of respect, because for most students, this material is clearly not as familiar as the other two. In the same way that laws constrain our behavior in the real world–some require, some prohibit, for example–the rules in this section dictate or limit the options for a number of interacting variables. Developing your abilities here will require an understanding and an organizational approach to quite a bit of information, and this practice will help you develop your abilities to assess real cases. Why is it valuable to understand the reasons for the sections of the test? It’s good to recognize that these are not just random components–for those who see the LSAT as an arbitrary necessity, the test can get very frustrating. To the extent you realize that the skills you develop today will be important for the rest of your life, you will ideally find greater motivation to invest the time and effort now.